A balloon mortgage is one of the many non-traditional mortgages available. Unlike many other mortgage loans, a balloon mortgage loan does not amortize, or pay itself off ,at the end of the loan term. At the end of the loan's term, a part of the principal remains and becomes due in a single payment. Since this payment is a very large payment, it is referred to as a balloon, since it "balloons" to this much larger payment. How does a balloon mortgage work? To understand how a balloon mortgage works, you must first understand a traditional mortgage. In a traditional mortgage, a borrower takes out a mortgage loan in order to buy a home. The mortgage has either a fixed mortgage rate (a set payment amount for the life of the loan) or a variable mortgage rate (payment amounts that vary monthly according to changes in the prime interest rate). A traditional home loan can have a term of any length of time; however, the standard is 15 or 30 years. A balloon mortgage loan has all the same components of a traditional fixed-rate mortgage except a much shorter time period, lower monthly payments, and a "balloon payment" at the end of the loan's term. For example, a buyer may get a seven-year balloon mortgage for the purchase of a home. This means the buyer has seven years of equal monthly payments at a fixed interest rate. This fixed interest rate is often lower than the present market rate, resulting in lower monthly payments than might otherwise be available to the home buyer. In some cases, the monthly payments in a balloon mortgage will be the same as those in a loan with a 30-year amortization, which basically means that the mortgage interest and payments will be the same as those of a 30-year fixed interest loan. At the end of seven years, the balloon payment of the remainder of the balance of the home loan is due. Just prior to this time, the borrower must decide whether to pay the balance in full, refinance with the same lender, refinance with a different lender, or sell the home. Why choose a balloon mortgage loan? Many loan customers use the balloon mortgage when they definitely intend to sell the home before the balloon payment is due. For example, home buyers who know their company will transfer them to another city or state within a few years, often want to get a balloon mortgage. Some individuals use the seven years of lower payments to invest and better leverage their money. At the end of seven years, some home owners are able to pay off the balance in full. Most homeowners are not able to afford this balloon payment. 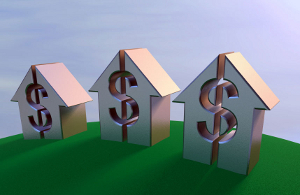 However, and will choose to refinance with the existing lender or a new lender at that time. Refinancing is the simplest means of renewing the loan. The rates charged when renewing with the same lender may be higher than the rates available through a new lender. Balloon loans often have a non-negotiable predetermined refinance option the borrower may use if they believe they may have trouble paying the balloon payment. Refinancing with a different lender allows the borrower the opportunity to negotiate a new loan with a better rate and more attractive repayment options. Balloon mortgages can be an effective way to finance a home, especially for disciplined borrowers who have a clear sense of their financial and investment outlook.